For more than three decades, Dr. Larry Miller has been helping patients in Waterford to achieve better health that comes with an optimally functioning nervous system. 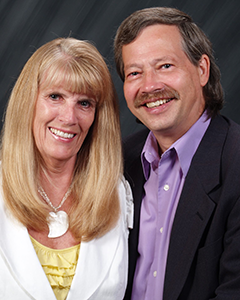 He’s given over 300,000 adjustments since he opened Miller Chiropractic Life Center in 1980! Do you believe the brain controls all functions of the body? Do you believe the body has the ability to heal itself? Do you believe the nervous system controls and coordinates all of the body’s functions? If one or more of the bones squeeze on a nerve and interfere between the brain and the body, do you believe the body could suffer in some way? “If you answered yes to these then I would say there’s no reason for you to be a skeptic of chiropractic,” says Dr. Miller. At our chiropractic care center, we first analyze the spine and find where interference is between the brain and the body. We eliminate that interference so the body can return to a state where it has the ability to heal itself. Dr. Miller employs a variety of techniques to perform a chiropractic adjustment. These include hands-on methods such as Thompson Technique and Diversified and instrument-based ones such as Activator Methods® and the Impulse®. In addition to the various chiropractic techniques offered at our office, we also use the sEMG, which shows the muscular component of the Vertebral Subluxation Complex. sEMG, Thermography data and posture assessment help Dr. Miller determine the type of care best suited to your needs. Many years ago, Dr. Miller’s son, who is a mover, broke the second bone of his neck as the result of a car accident. The son’s friend, who was driving, hit another car head-on. Their son didn’t have his seatbelt on and went headfirst into the dash. The top bone shifted 3-4 millimeters forward; had it gone backward it would have gone into his spinal cord and killed or paralyzed him. Dr. Miller’s son was put in a halo brace for at least six months. He was told he’d have to change professions and couldn’t ever do his moving job again. He received regular chiropractic care, and once the halo came off, he went back to his job and has been doing it ever since! Throughout the years, we’ve been privileged to witness numerous patient success stories. One is of a 12-year-old boy who had asthma. The boy’s asthma was so severe that he carried around an oxygen tank with him. Though he could watch his friends play and have fun, he couldn’t participate. After he started chiropractic care, however, he began to improve. By the time he was 18, he was so healthy that he was putting up drywall alongside his father. “Anyone who works with drywall knows it’s a big feat to handle all the pollution in the air, and this boy was able to do this with no problems,” says Dr. Miller. Could you use a miracle? Contact us today and book an appointment!